Order in the next 45 minutes and it will ship today! 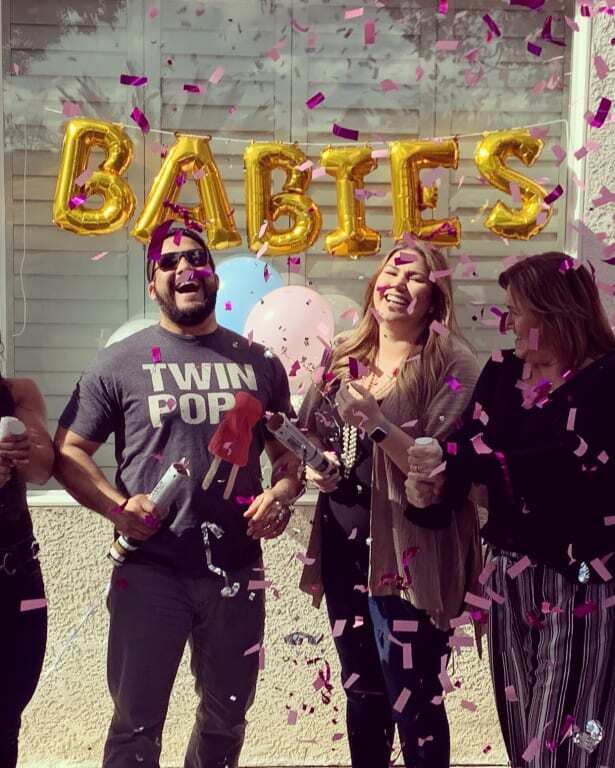 Confetti cannons are an exciting way to announce the gender of your new baby! 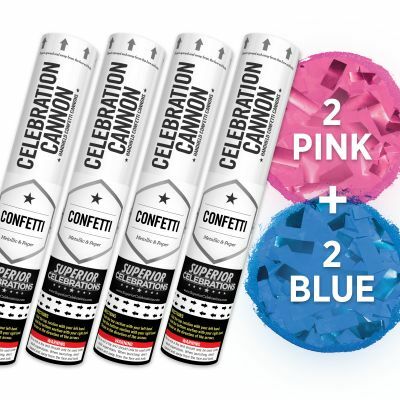 Our Gender Reveal Confetti Kit includes four of our popular 12-inch confetti cannons, two with blue confetti, and two with pink confetti. Each one has a mix of metallic mylar and paper confetti, and launches about 10 feet into the air. 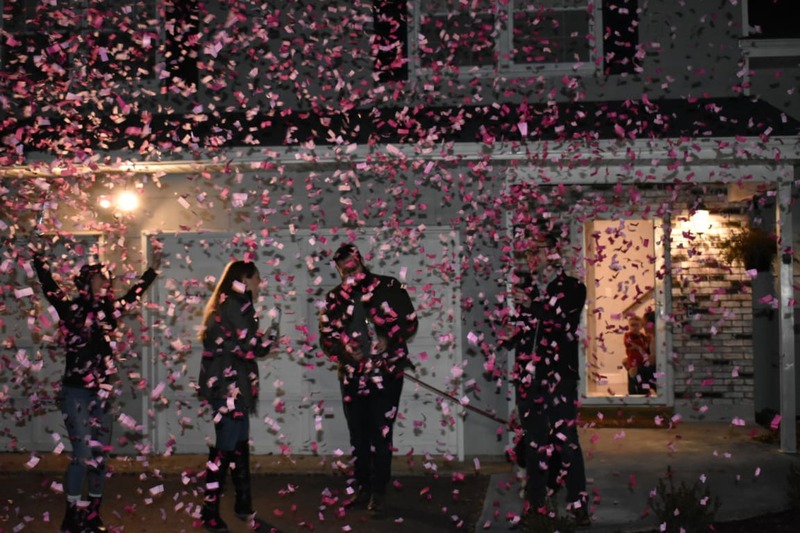 Plus, these confetti cannons have a generic design so you can't see the color until you're ready for the big reveal! We'll include a note with your order that tells you how to know which is pink and which is blue. 99.0% of respondents would recommend this to a friend. These worked perfectly! I did need to do some raking (of the neighbors yard) afterwards! But it was totally worth it! These were great and there was a ton of confetti!! We did them inside. Love love love!! Love love love!! 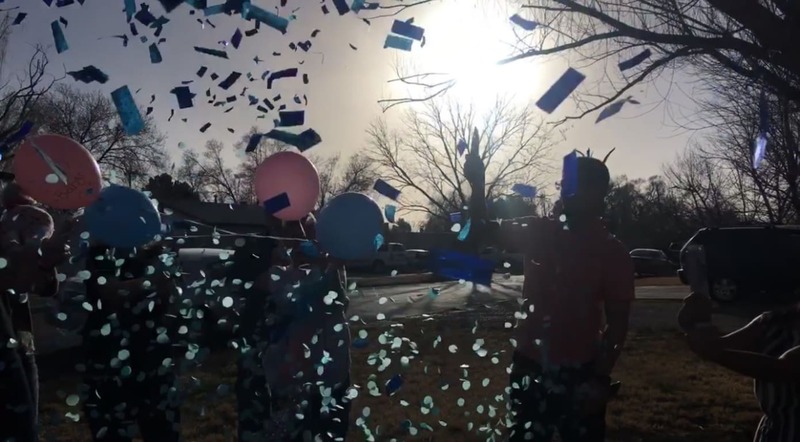 Absolutely loved this for my gender reveal. My husband and I both shot one off and we couldn't believe how much confetti just one cannon had. I would definitely use this again. 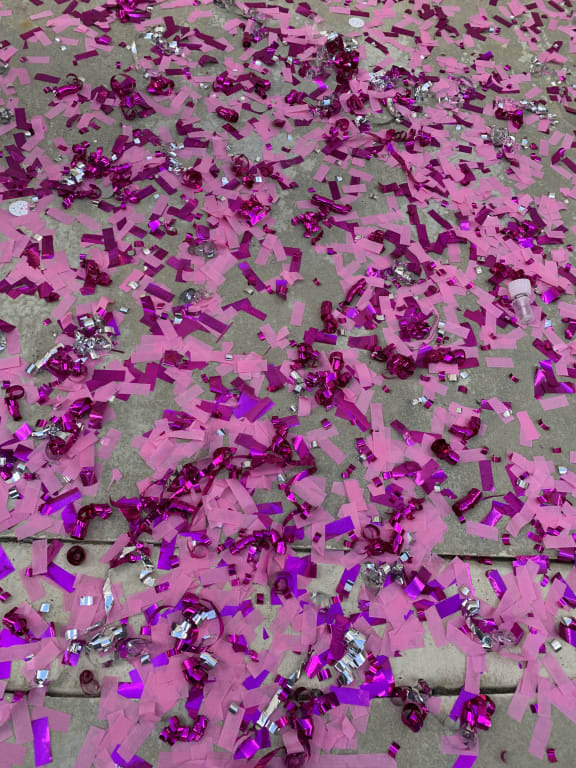 After most of the confetti had landed. 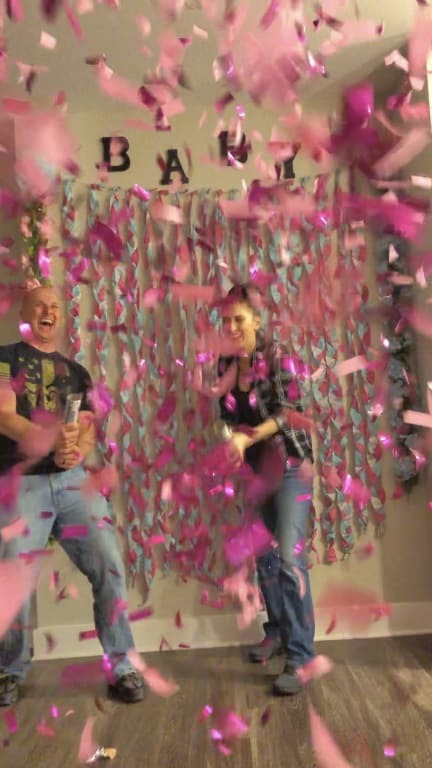 Loved Our Confetti Gender Reveal! 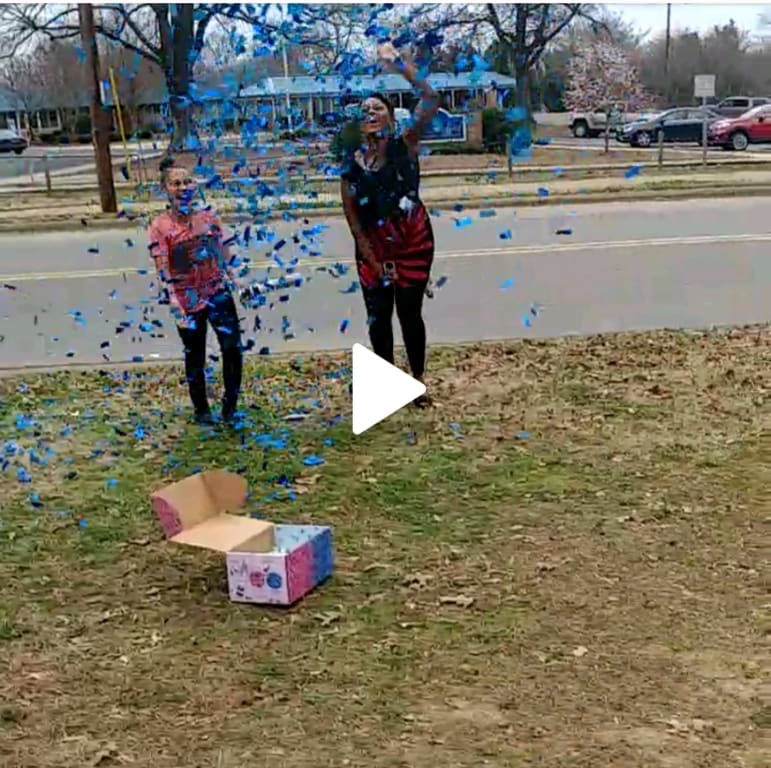 Loved Our Confetti Gender Reveal! Pros: Product was perfect for our reveal. Cannons were nice a fully loaded. Cokors were bright and vibrant. Genders diguised well. Light weight packaging. Cons: A little hard for children to twist and paper was slipping when turned. Overall wonder and id def buy again. Beautiful!! We couldn't have been more satisfied!! Thank you so much. 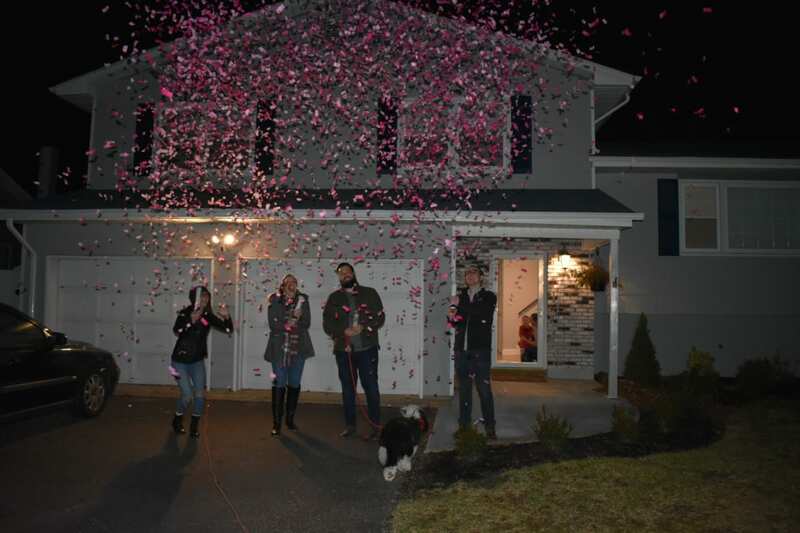 This worked perfect for our gender reveal and the two cannons pack plenty of confetti. Loved this! We used it as a baby reavel and it turned out so much better then we ever expected! These made the gender reveal amazing! These made the gender reveal amazing! The anticipation for the moment everyone popped the confetti was great. We had 16 cannons and it floated in the air for lots of pictures. The moment they saw blue people started yelling. It was awesome. The mess you have afterward is worth it! 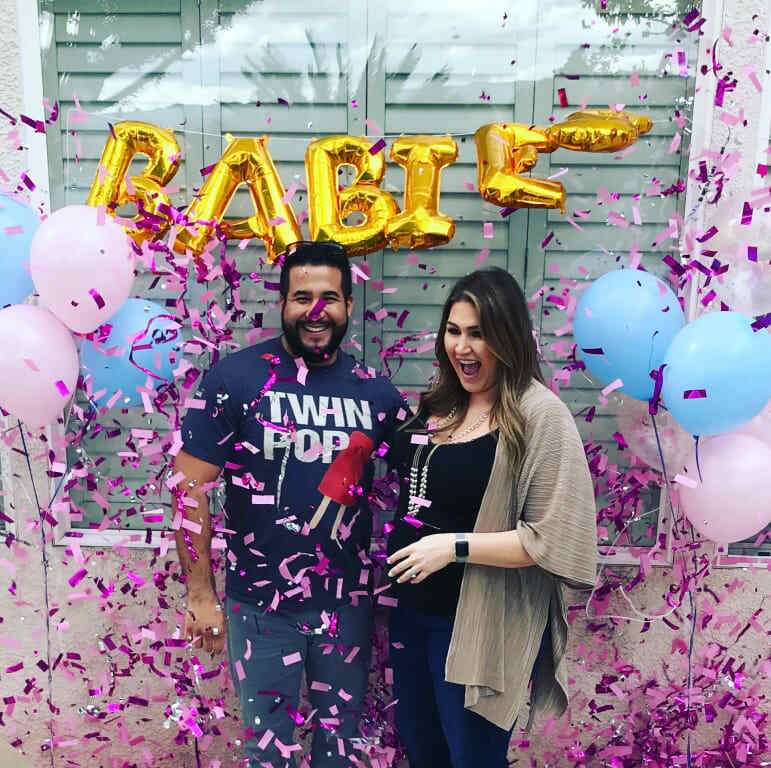 16 cannons - it's a boy! #1 Confetti Cannons for sure!! #1 Confetti Cannons for sure!! So much confetti! Worked perfectly, loaded with confetti, powerful too! 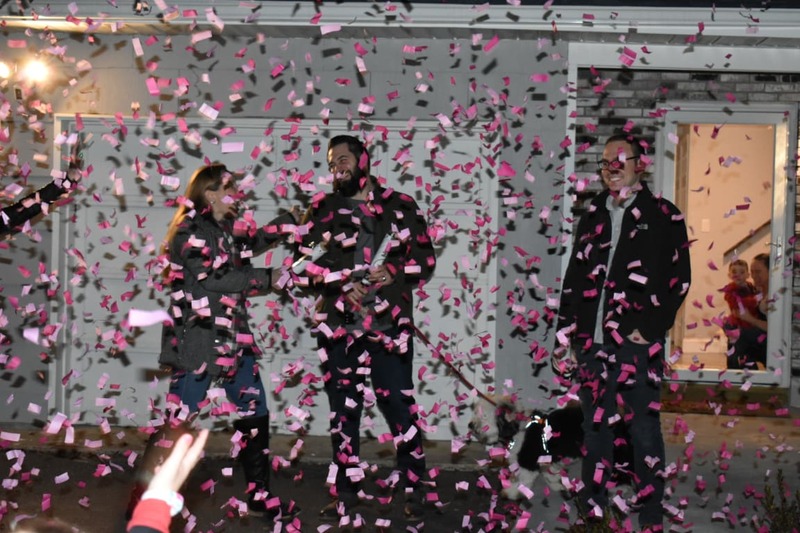 Confetti shot up high like15 ft and then rained down on us for our reveal! I would definitely purchase them again. Ordered on a Monday from California and ground shipping we received package on Friday. Also packaging itself is very cute! Definitely recommend! We loved the product! Colors were deep, a lot of confetti in each cannon and it looked awesome in our pictures. Some of the pictures the confetti was so thick you couldn't even see through to us, ha! Only issue we had was that a note wasn't included to tell us how to determine which cannon was which color. 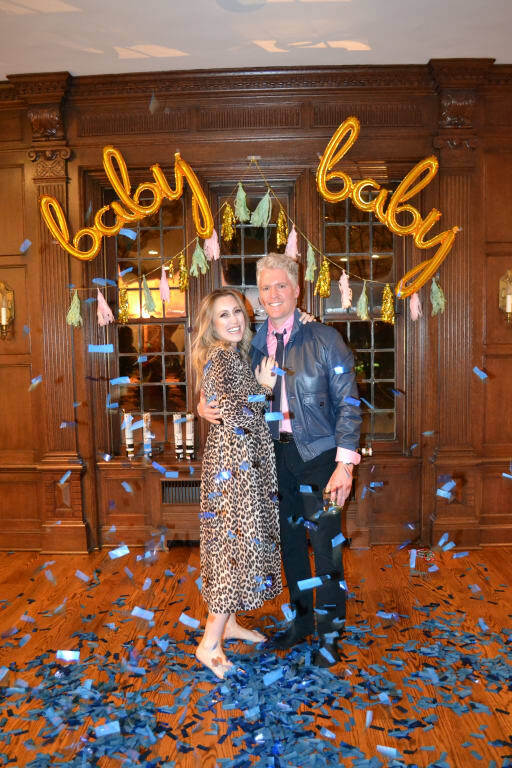 We were in a bit of a panic on a Saturday night, 10 minutes before the reveal... but we figured it out and everything turned out great! Amazing and Perfect!!! Amazing and Perfect!!! 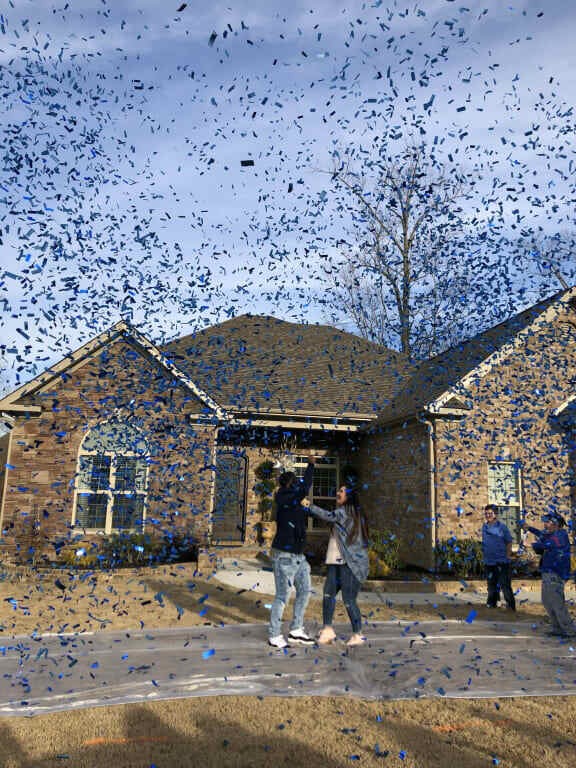 The confetti cannons were perfect for our Gender Reveal. Definitely will recommend these to all of my family and friends. These poppers have so much confetti in them, and it all flies so high in the air! They make for INCREDIBLE pictures. Super easy!!! Our family loved it! Loved these! Perfect for a gender reveal! Loved these! Perfect for a gender reveal! Bought these for my sister in laws gender reveal and they were perfect! They loved them! 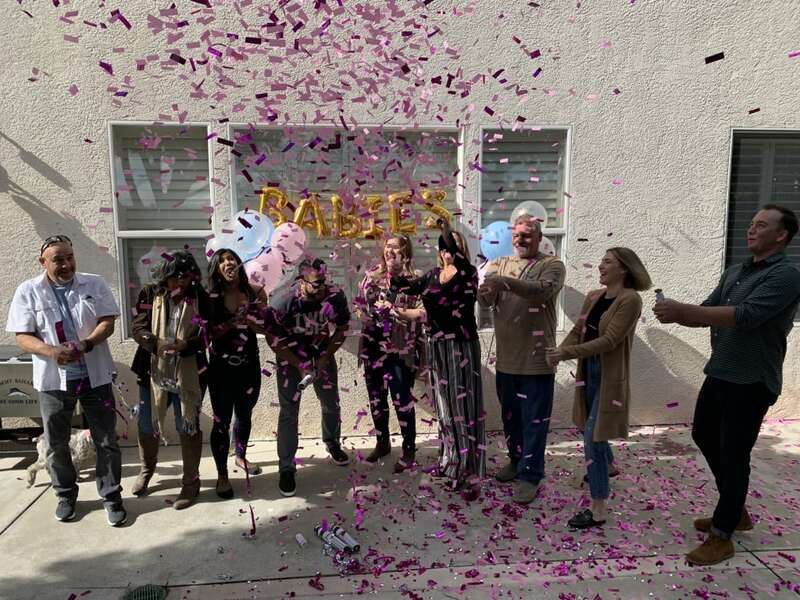 Great way for them to find out they were having a girl. Highly recommend!